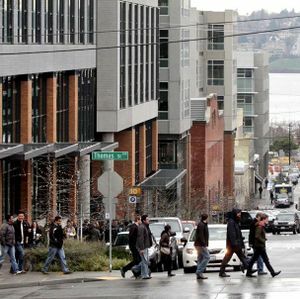 Thursday marks 10 years since Amazon committed to building an 11-building campus in South Lake Union. But before the company locked up that space, Amazon's landlord went to the city seeking a deal, sparking debates about the impact of development that have grown louder a decade on. 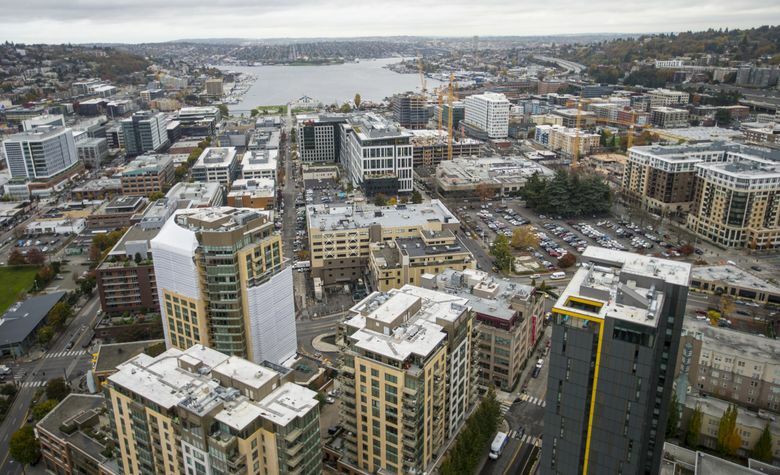 Ten years ago Thursday, Amazon announced it would move to South Lake Union, consolidating the company’s growing footprint into an 11-building campus and abandoning the former hospital building on Beacon Hill that the company had called home. City planners estimated Amazon might have 6,000 employees there by the time the campus would be finished in 2011. That prediction would fall short by a third, and it wouldn’t be the last time people underestimated the scale of Amazon’s ambitions. Today, the company has come to dominate the neighborhood and much of the face of the city itself, employing more than 40,000 people in Seattle, spread over 37 offices. The company is planning to add at least that many people to a second headquarters city after selecting a separate and “equal” home next year. But before Amazon moved into South Lake Union, Paul Allen’s Vulcan had to bag an increase in the neighborhood’s height limits. It was an open secret that Amazon was shopping for a new home, and that Vulcan’s megaproject for its South Lake Union real estate holdings had a very specific tenant in mind. One area of debate was how much in affordable housing and other impact fees to tack onto the development. Then-city councilmember Peter Steinbrueck warned that the city planned to offer Vulcan a discount to standard rates, and said the plan was inappropriate given an ongoing housing crisis. The Seattle Post-Intelligencer’s editorial board raised concerns about carving out exceptions to city code for a single company or project, a warning that could seem out of fashion today as some municipalities offer Amazon billions of dollars to lure its second headquarters. 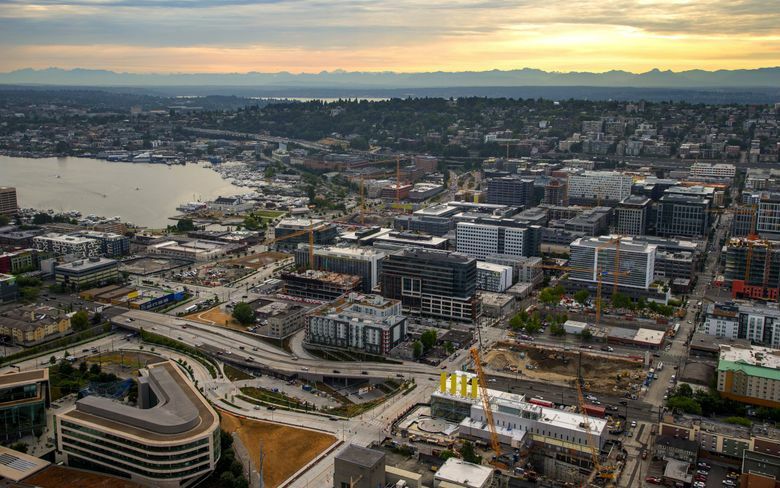 Deputy mayor Tim Ceis warned that the big target tenant “could move out of Seattle to a suburban alternative” if the city’s demands were too high. Jeff Bezos, whether the city knew it or not, had no such plans. The Amazon founder and chief executive had committed to Seattle, deputizing his real estate group to find a new, long-term home within the city. 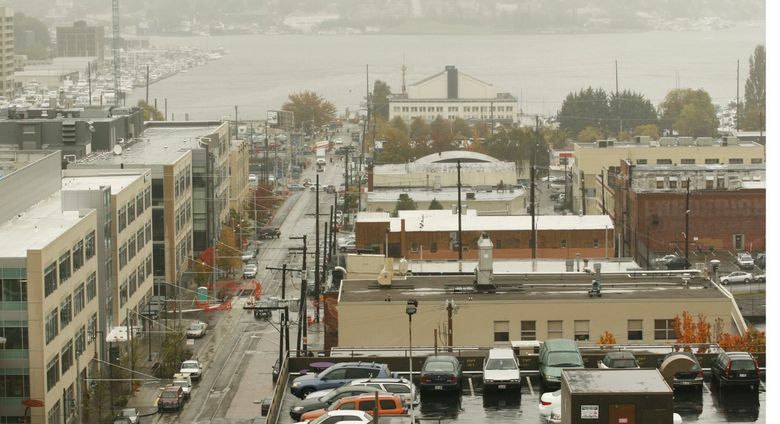 The deal announced on Dec. 21, 2007 to bring Amazon to South Lake Union included $6.4 million in affordable housing and other fees, or about $1.2 million less than Steinbrueck estimated would have been owed if Vulcan had built the same development downtown. City officials and the real estate industry heralded the news as a milestone in the redevelopment of the district of low-slung, light industrial and commercial concerns. And, lest we think gridlock is a modern phenomenon, even a decade ago some worried about getting around.